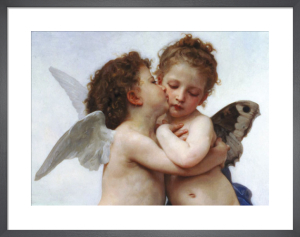 William Adolphe Bouguereau (1825-1905) had artistic talents that are a joy to behold. His beautiful compositions emphasising the idealised human figure are exquisite. When he died in 1905 he left a great heritage of classical French art and a reputation as one of the finest painters of the nineteenth century. His work is displayed in most of the world's best museums.